There are sports that are inevitably competitive, like tennis or football, where there simply has to be a winner. The same cannot be said about surfing. There are indeed competitions, but not against adversaries. Surfers compete against themselves and the waves, and technique, boldness and innovation are what matter most. It is precisely this kind of journey of self-discovery that brings surfers together as a distinct cultural group. 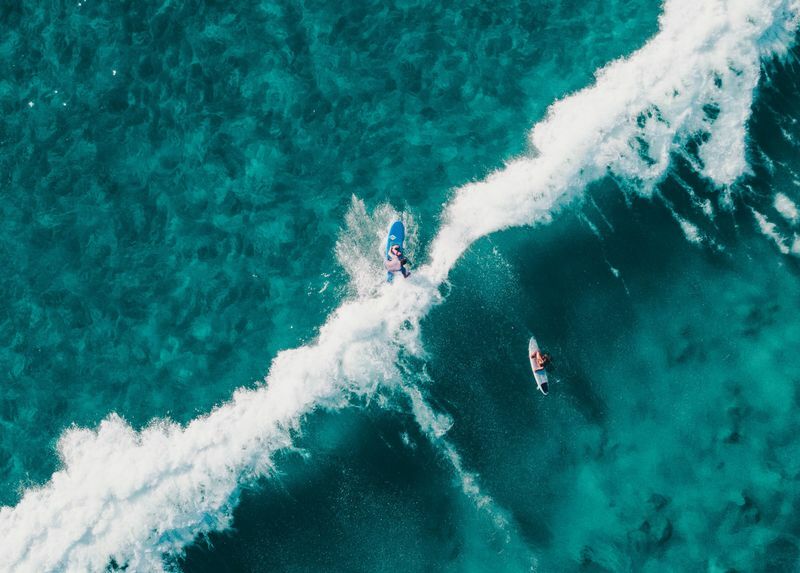 Surfing may not be equally popular throughout the world, which is understandable considering that so many countries have no coastline, but everyone has heard of surfing. This is all thanks to the continuously growing surf culture. This includes those who do it for fun, those who turned it into a lifestyle or career and even non-surfers. That’s the beauty of it, you don’t even have to be a surfer to identify yourself with it! So let’s look back at how surf culture has grown from history’s first wave riders up to our present days. It is widely believed that surfing has its roots in Hawaii. This statement remains under much debate, as there are some who claim it has been around ever since people learned to swim. Riding waves on a wooden board was a common practice in ancient Polynesia. It wasn’t exactly a leisure activity but rather a practical means for fishermen to return to shore with their catch. It is unlikely they were standing up on the boards, they were probably lying down on their stomach. When the first Polynesians arrived on the Hawaiian Islands in the 5th century AD, they brought their traditions with them. Fast forward to when Captain Cook was leading his third expedition to the Pacific, he described a Tahitian catching waves with his outrigger canoe. He was doing it for the fun of it! In 1778, he reached the shores of the Big Island of Hawaii and was killed at Kealakekua Bay in a failed attempt to kidnap a high chief. It was here that Lieutenant James King wrote the first description of Hawaiian surfing in his logbook. 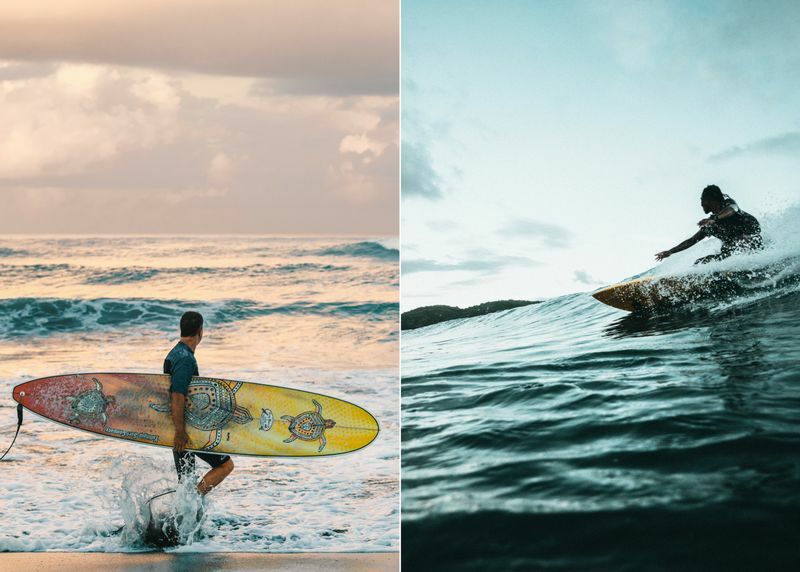 In Hawaii, surfing, wave riding or he’e nalu was The Sport of Kings, an integrated part of local culture, a ritual meant to tame the ocean and a form of art. Only the most qualified craftsmen could carve the boards, and the chief would get the best board made from the finest tree. The chief was also the most skilled wave rider. Anyone could practice it, the difference stood in the quality of the boards, and surfing competitions settled disputes between islanders. When Europeans began settling on the islands, they disapproved of the practice. In their eyes, these pioneers of surfing were lazy people who preferred to play in the water instead of working. Throughout the 19th century, European influence on the Hawaiian Islands drove surfing to the edge of extinction. 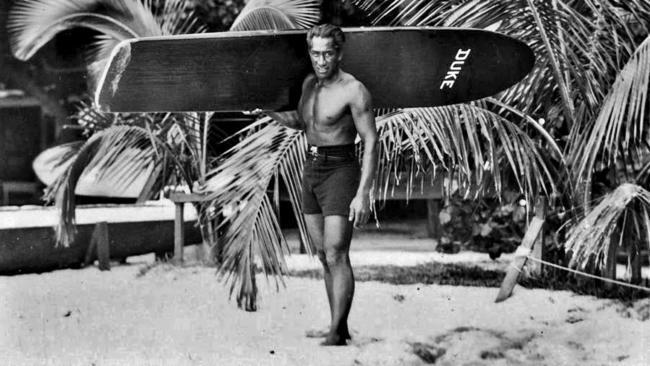 Then came Duke Kahanamoku. Born in 1890 in Honolulu, he grew up surfing in Waikiki on a traditional 16 ft (1,8 m) Hawaiian longboard and went on to become a record-breaking Olympic swimmer awarded with three gold medals. Nicknamed The Duke and The Big Kahuna, he revived Hawaiian surfing and traveled the world to promote it, becoming one of the pioneers of modern surfing. 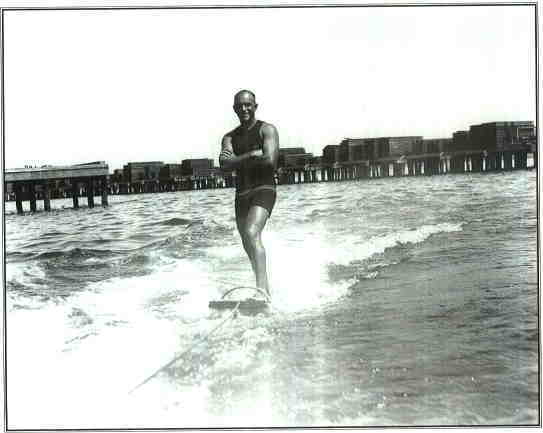 In 1914, he introduced Southern California, Australia and New Zealand to wave riding, and continued to popularize the sport between 1915 and 1932. In 1922, crime writer and bestselling author Agatha Christie and her husband embarked on a 10-month global tour that took them to the shores of Cape Town and Hawaii. 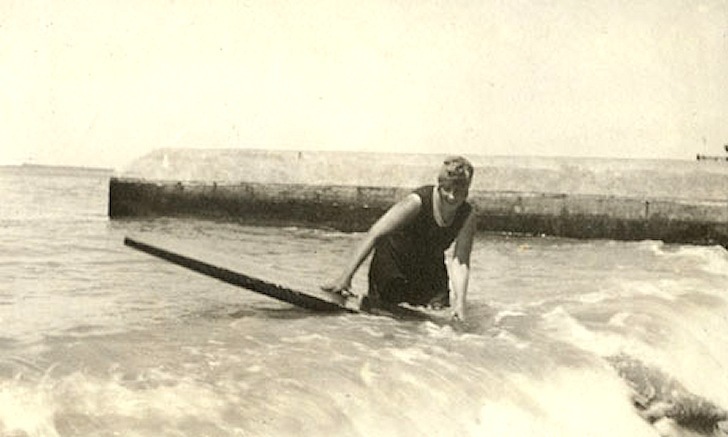 In both locations, Agatha plunged right into the waves, thus becoming one of the first Brits to try surfing. She might very well be the first European woman to try it too! In Southern California, it all began with George Freeth. Born in 1883 in Oahu from a part-Hawaiian mother and an Irish father, George’s surfing skills impressed the likes of Duke Kahanamoku. In 1907, American novelist Jack London visited George Freeth and took surfing lessons from him. The accounts went into a long essay called A Royal Sport, which helped draw attention to surfing in the US. Later that year, George Freeth packed his surfboard and moved to California. In the following years, he gave public demonstrations in which he combined his flawless surfing techniques with first-aid in case of drowning. He became California’s first professional lifeguard and opened the gates to modern surfing. We call it surf culture. Social scientists call it a subculture. 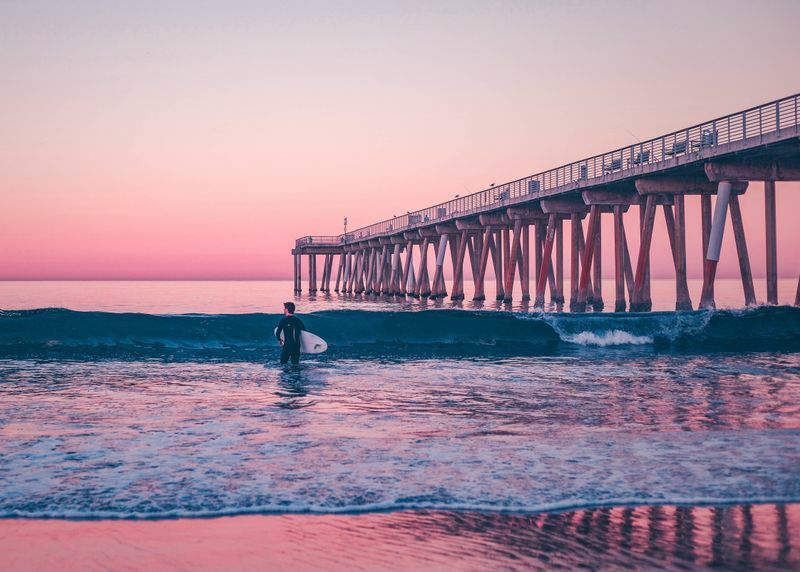 Surf culture was first popularized in Southern California. On a global level, it emerged after World War II, and it was in the 1960s that it lived its golden age. So what is surf culture? Well, it all started with playing with the waves and sunbathing all day long, so it was originally looked upon as an “endless summer” kind of life, the exact opposite of work. In reality, not many people can afford such a lifestyle. After all, surfing is not exactly a cheap sport. No, surf culture is not a fantasy. It rejects capitalist materialism and promotes a more spiritual existence. In short, it is an escape from school, work, mainstream culture and a hectic world. In the 1950s and 1960s, surfing became more and more popular thanks to movies, songs and the media. With their catchy surf music, the Beach Boys were sweeping the world, creating an image of surfing everyone wanted to be associated with. Ironically, the Beach Boys were non-surfers except Dennis Wilson, which stands to prove that you don’t have to be a surfer to embrace the culture. The 1960s marked the golden age of surfing. Surfers began traveling the world in search of the perfect wave. 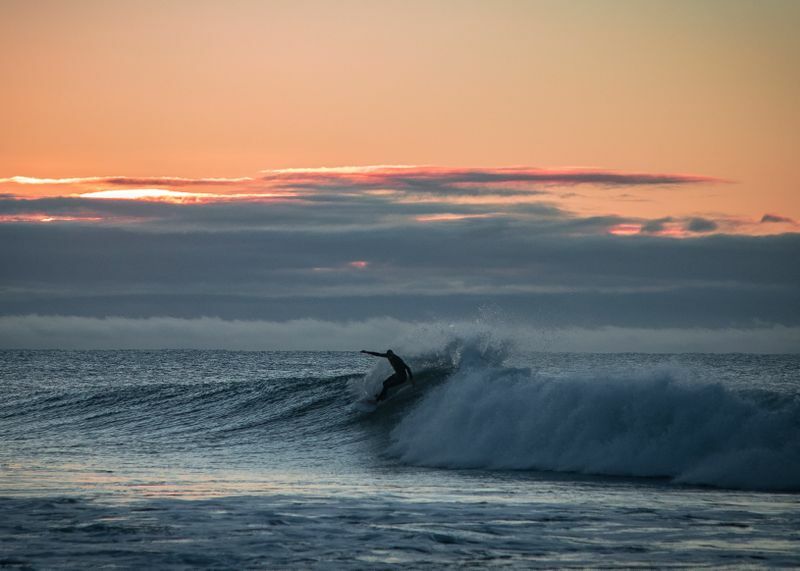 The term soul surfer was coined, meaning a person who surfs for the sheer pleasure of it and to be close to nature, lives by the coast and tries to spend as much time in the water as possible. It was also during that time that surfers were often perceived as drug addicts and lazy long-haired people who didn’t work. 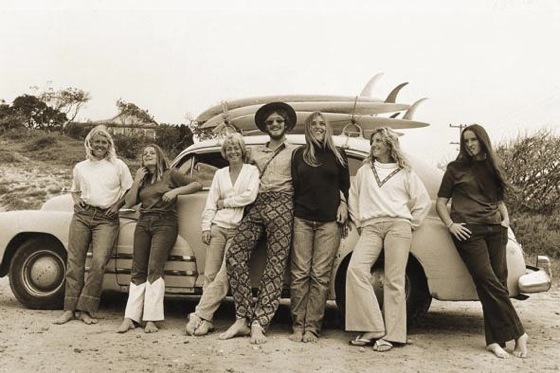 Surfers were associated with the Hippie Movement and in the 70s and 80s, the public linked drugs with the surf culture. Today, surfing has become a multi-billion dollar industry, selling anything from equipment and accessories to fashion clothing, movies, magazines, energy drinks, supplements, you name it! Professional surfers are now associated with famous brands and surf culture is heavily promoted via mass media. In the 1960s, surfing goods were predominantly sold in California and Hawaii. Today, surf wear is sold even in land-locked Nebraska. In its golden age, surfing was a male-dominated activity in which women were often seen as an accessory. Not anymore! Women can now prove themselves just as strong as men. Nowadays, the typical surfer stereotype is much different than a few decades ago. Professional surfers are no longer long-haired hippies but fit, healthy and presentable individuals who travel the world to ride the best waves for a truck-load of money. As it was expected, this led to a rupture within the surfing community. 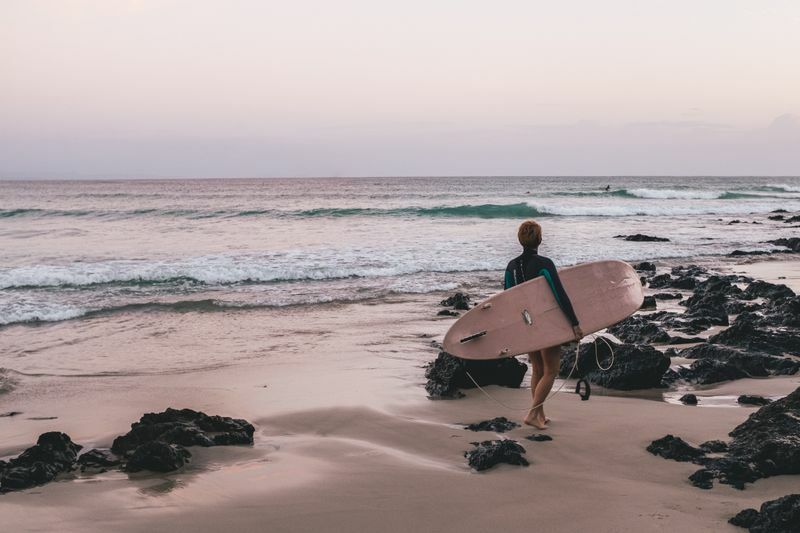 Surfers continue to push boundaries and set new standards, and soul surfers perpetuate early Hawaiian values such as spirituality and freedom, but surf culture is now less nomadic. What is sure is that it will continue to grow, change its direction and reinvent itself. 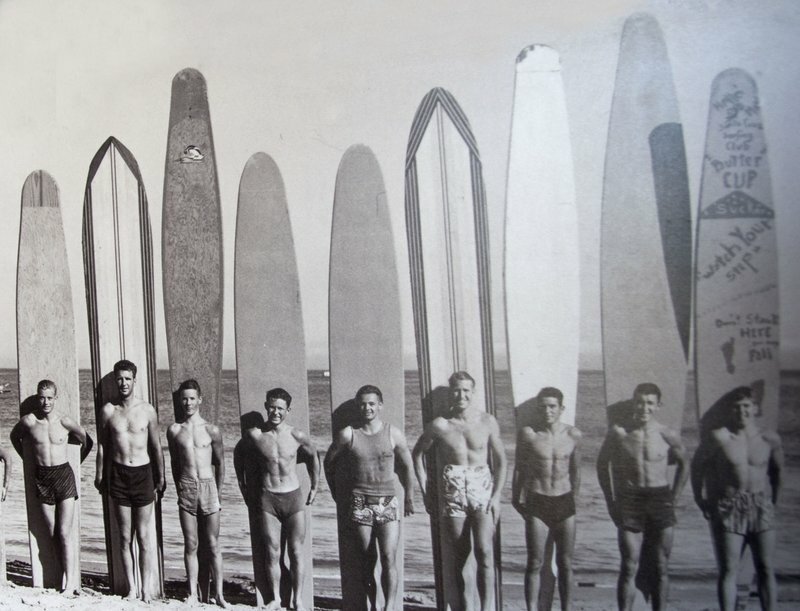 Would you like to retrace the roots of surf culture? 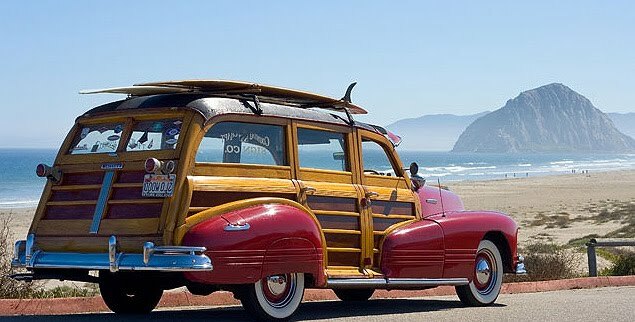 Go to BookSurfCamps.com, choose a surf camp in California and ride those waves just like our ancestors did centuries ago! Kitesurfing: Four Great Reasons Why You Should Take It Up!